We’re not just about relaxation in Gonzales. We are business friendly too. Just ask Adams Extract, Southern Clay, Jim H. Wilson, or Tropical Fusions a few of the companies based here. We are the crossroads of the Eagle-Ford Shale Oil Field. Such oil companies as EOG, Lucas Oil, and Marathon Oil have made Gonzales their regional home. 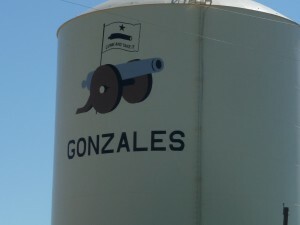 The Texas-Northern-Gonzales Railroad provides personal service you will never see with the large national railroads. We invite you to “Come and Take It” and once you do, you’ll never let it go.